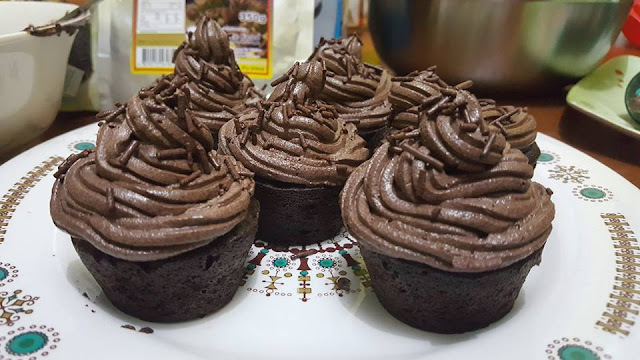 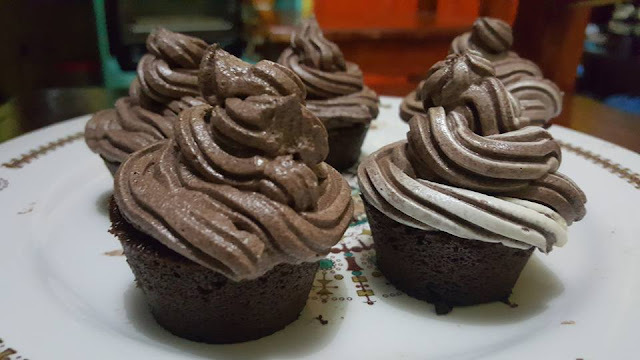 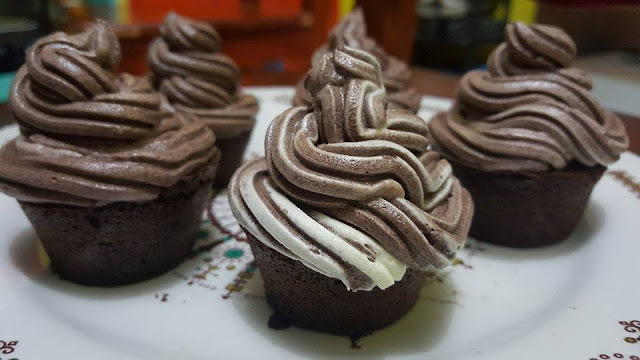 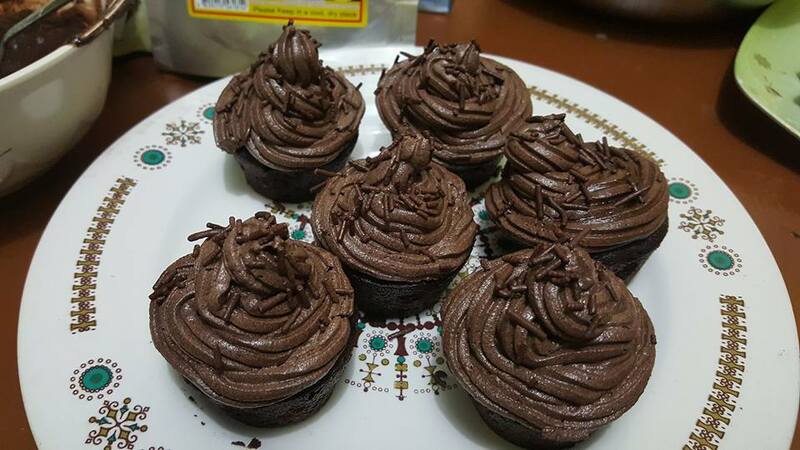 Simple steps on how to bake cupcakes using a microwave oven. 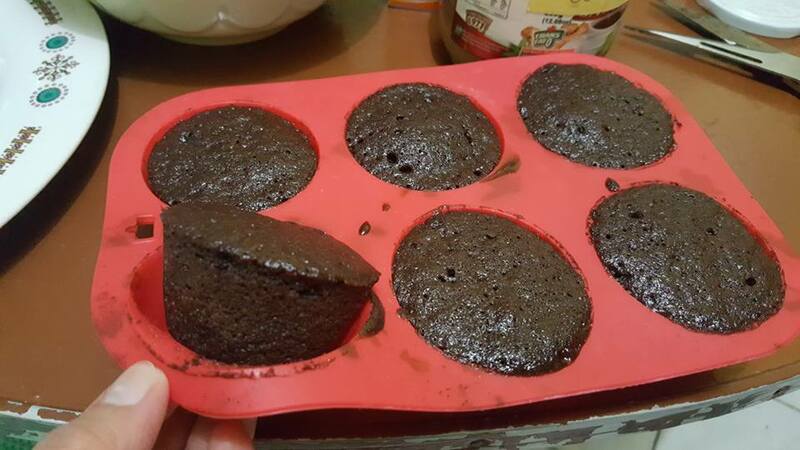 1)Stir together flour, cocoa powder, baking powder and baking soda in a microwaveable tray. I am using the red tray below. 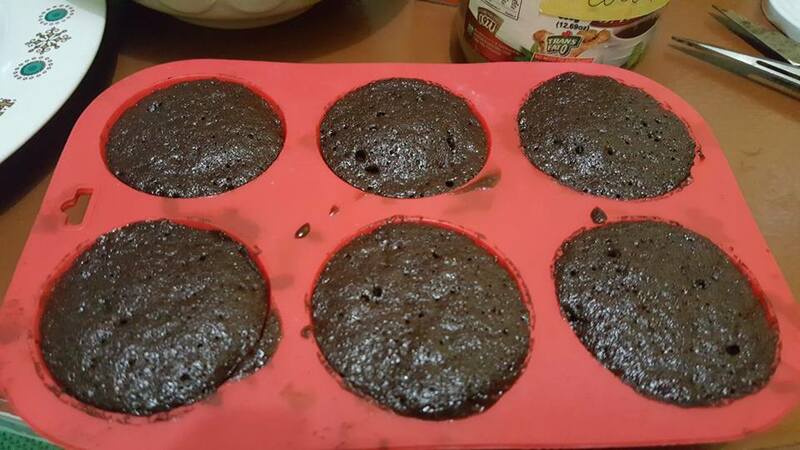 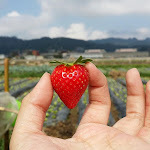 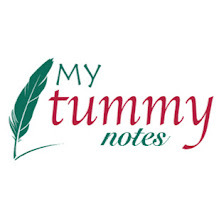 It can be used in a microwave oven and in an oven toaster. 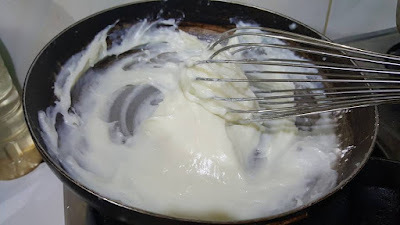 2) Add condensed milk, melted butter and milk and mix well. 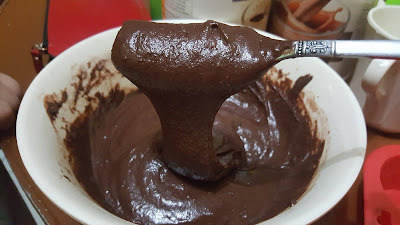 Here, I just used a large bowl and a fork to mix. The end texture should look like the 2nd pic below. 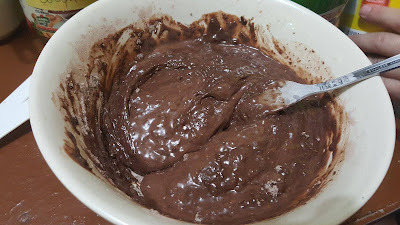 3) Add chocolate chunks and microwave at medium high for about 3 minutes. It should look like the one below. 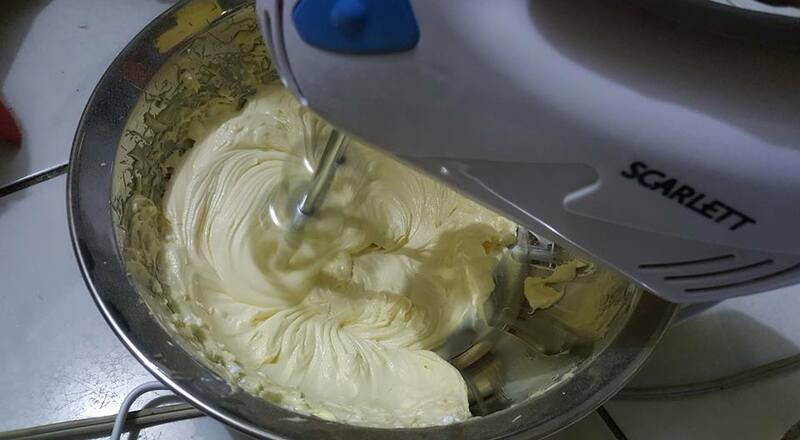 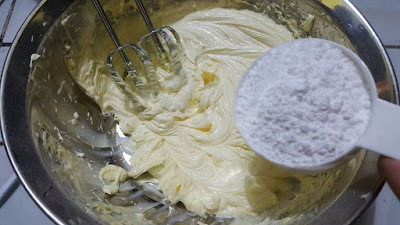 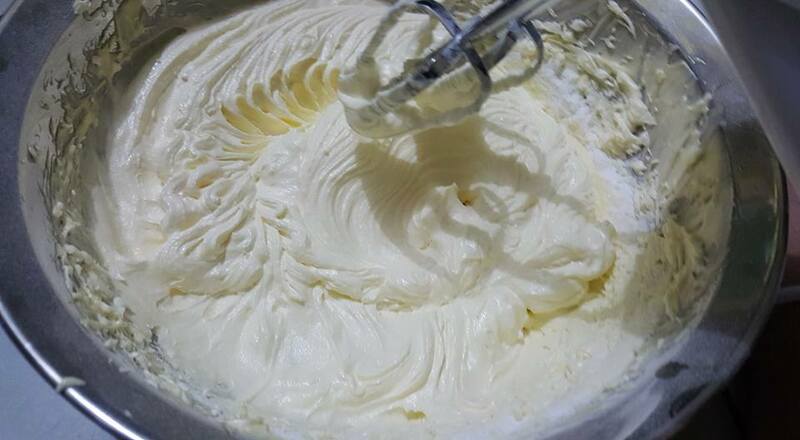 2) In another mixing bowl, use an electric mixer to mix butter and powdered sugar. 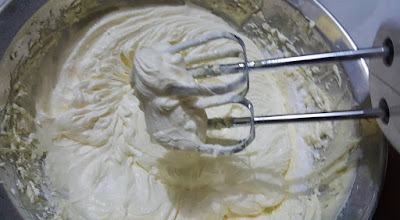 Add vanilla for flavoring. 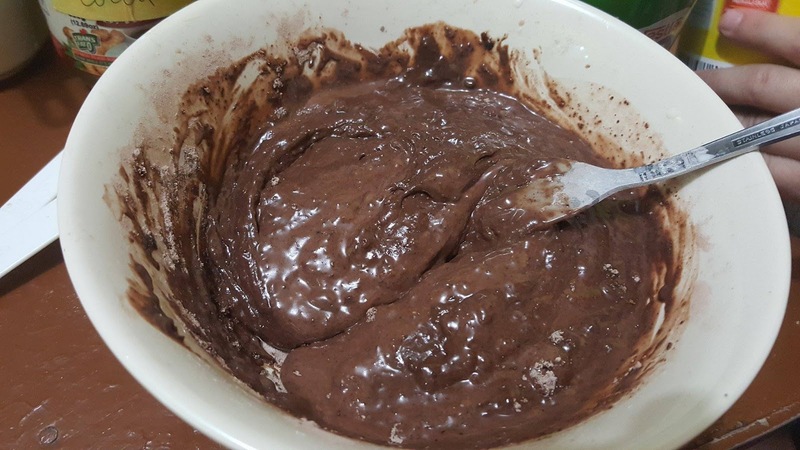 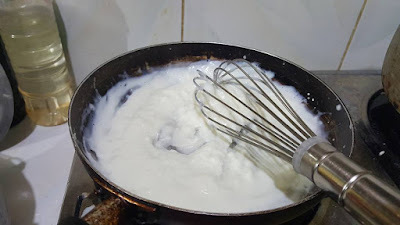 3) Add the milk paste and mix until it looks like the one below. 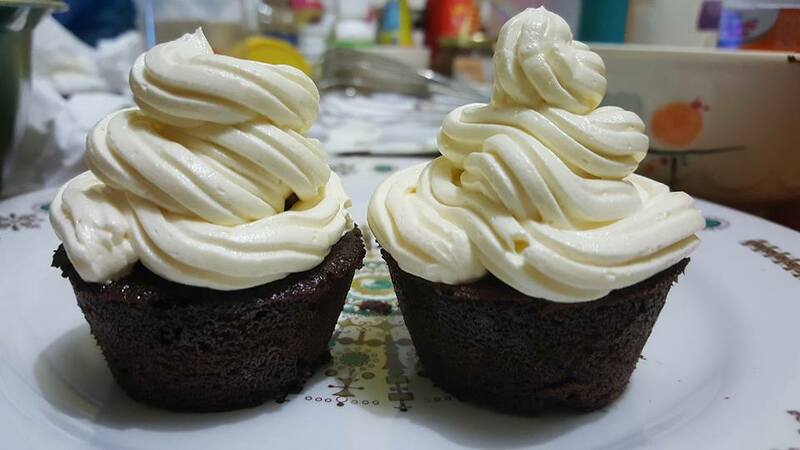 4) Pipe the frosting into the cupcake. 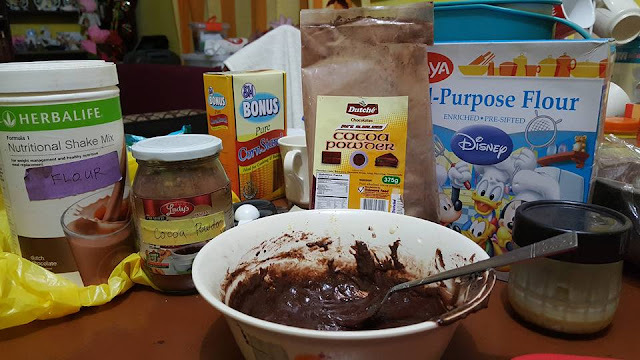 You can add some sprinkles or you can add cocoa to its frosting to make a chocolate buttercream frosting. Serve.